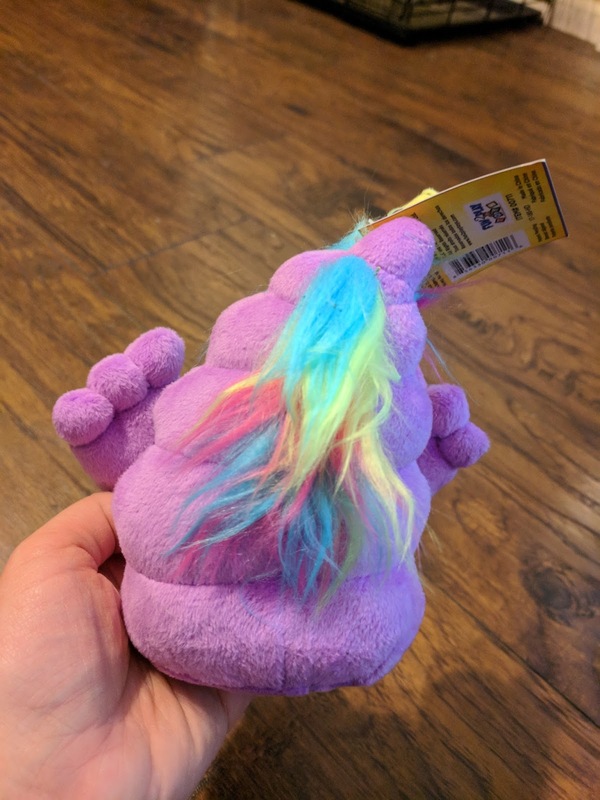 Poo +Unicorn = Poonicorn! Introducing Poonicorns! They come in a variety of colors! This hybrid emoji is the next big craze. Your imagination will definitely run wild with the fun of Poo and Unicorns coming to life! Poo-nicorn offers the perfect features of both poo and unicorn characters with the added bonus of Neon Colors! 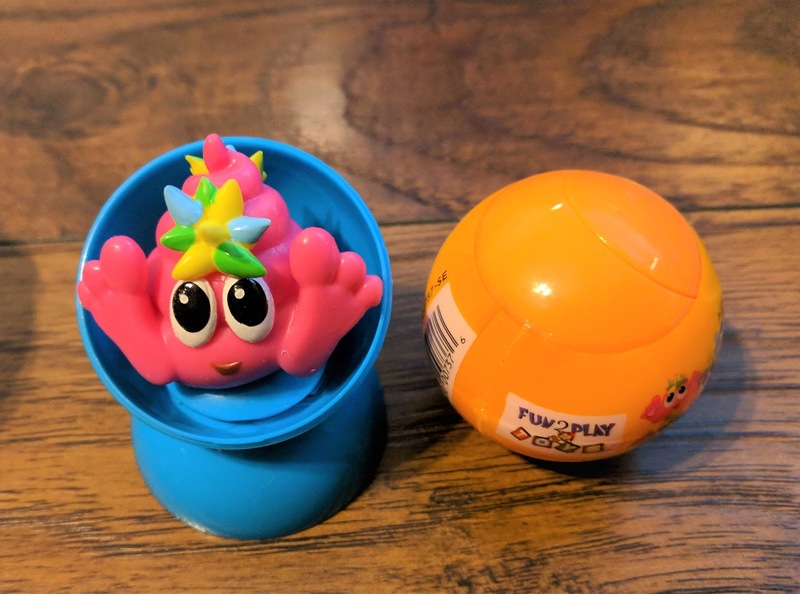 My kids love these toys. They are so unique and cute. 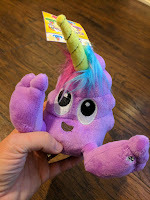 My kids were able to experience Poo-nicorn plush, squishiez and dropplings. The squishiez and dropplings and perfect size for stockings, plus since they are mystery packs, you can get multiples. If you get a duplicate, collect and trade with friends! 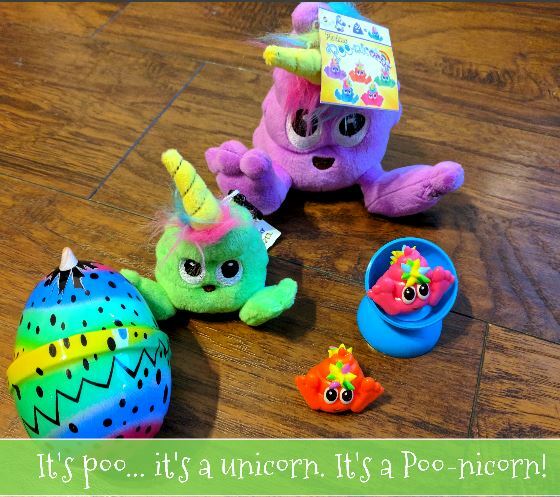 Poo-nicorn is fun for all ages! Squish’em & Squash’em or use them as pencil toppers! Each Squishiez comes in a colorful capsule that can be converted into a moon chair for you to display your favorite Squishiez characters. Available in a variety of colours, these lovable plush toys are the best of friends. Their cute feet are ultra squeezable and you can even style their hair any way you’d like. They come in 5 different colors with each having their own personality. You can not smile when holding one of these plush. They are so cute, soft and perfect for any age! Poo-nicorn Droplings are whimsical and colorful eggs that contain a Poo-nicorns surprise inside. 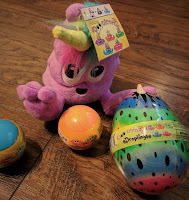 Open the egg capsule and find your favorite Poo-nicorn character. These fun collectible plush characters are perfect to clip on to your back pack.